Yoko Kanno is a composer, arranger and musician best known for her work on the soundtracks for many games, seminal anime films, TV series, live-action movies, and advertisements. 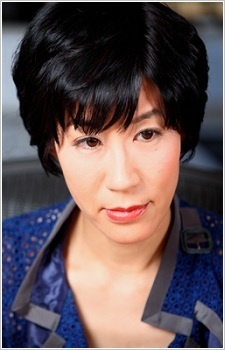 Some of Yoko Kanno's most famous soundtrack themes include "Kiseki no umi" (Lodoss War), "Voices" (Macross Plus), "Tank!" (Cowboy Bebop), "Yakusoku wa Iranai" (Escaflowne), "Gravity" (Wolf's Rain), "Inner Universe" (Ghost in the Shell: Stand Alone Complex) and Stand Alone Complex O.S.T. She speaks very little English and some French. An icon. There's no animé that she has composed for that I won't watch (though it might take me a while to). I'd say though that Cowboy Bebop, Ghost in the Shell and Sakamichi no Apollon are really my favourites. Turn A made me fall in love with your voice. I think it's time we blow this scene. Get everybody and the stuff together. Ok? 3, 2, 1: Let's jam. I would happily watch an anime just because its music is made by you. zankyou no terror's music was brilliant. An actual goddess, she deserves to be worshipped by all of us mere mortals.